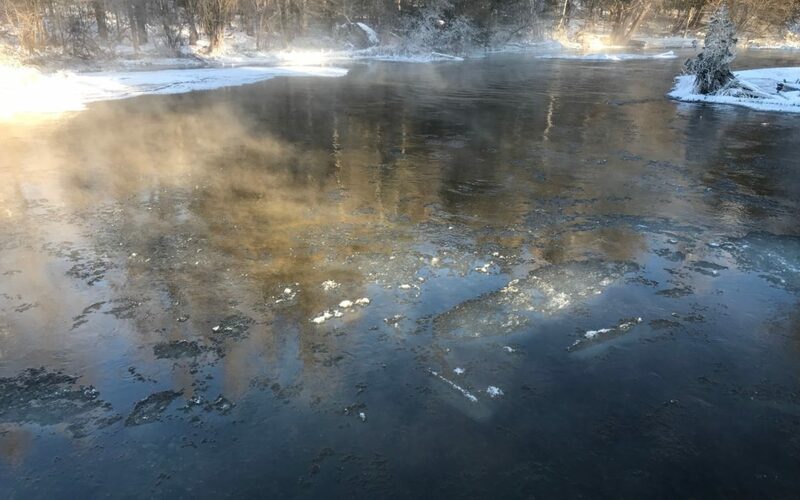 Over the weekend, it was just too cold. 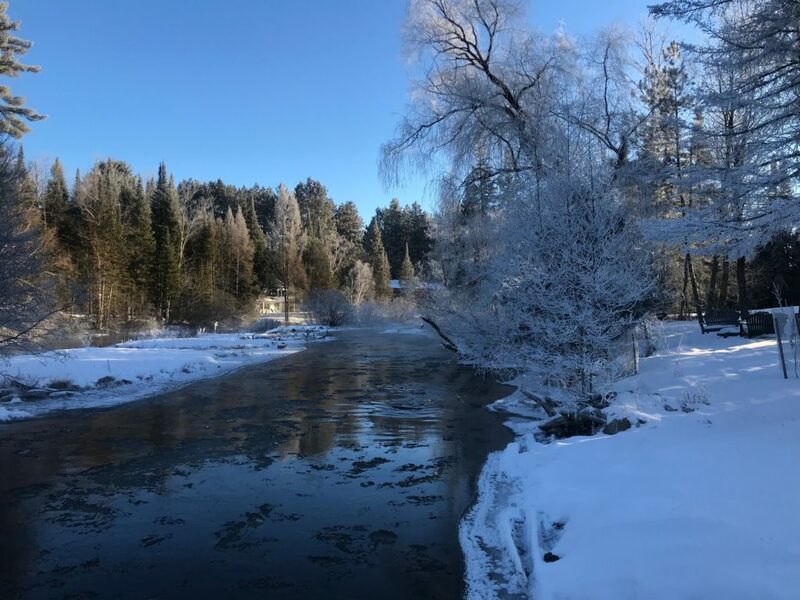 It was a zero degrees for a high on Sunday, a few of the rivers froze shut, deer walked across the Manistee, and not many people went fishing. On a great day of skiing on Monday, the trees were popping with a noise similar to the sound of a .22. I don’t know if I’ve heard trees make that noise or not, but if I did, I don’t remember it. 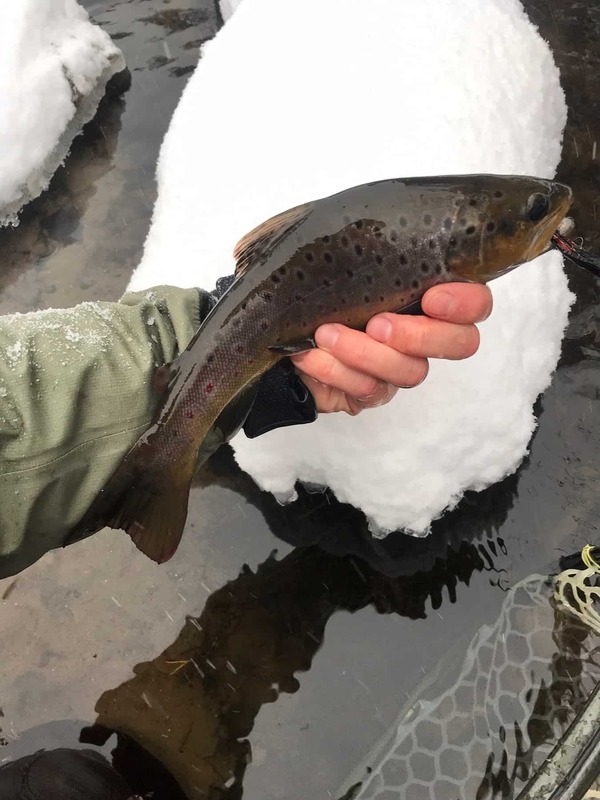 A persistent snowstorm came in yesterday and with it some warmer weather and some trout were caught. I hoped to make it out today, but tomorrow, and a high of twenty, will do. Warmth is relative. …that I wish that could happen here. And maybe it can, and maybe it will. The more I learn, the less I know, or however the saying goes. This weekend we will have a Free Fly Tying Saturday from 9 am – 1 pm. Fire, coffee, chili… Show up early and have a delicious breakfast at the restaurant. We try to make the most of the winter, the good, the bad, and the cold.